Signs of spring. It has felt so much colder this year for the end of February than last year. Last year, we were outside without coats doing nature studies of pine trees. We did get visited by a flock of bluebirds, and then a flock of robins, which was really special and led to a good nature journal entry. Lent means simpler meals, and especially more soups (much to my husband’s chagrin). I’m trying to stay on top of meal planning. Plan to Eat (affil. link) has been great to keep all my recipes together and then slide them into a weekly calendar. It then takes all the ingredients and puts them on a master shopping list for me, which I can either print or just access on my phone. 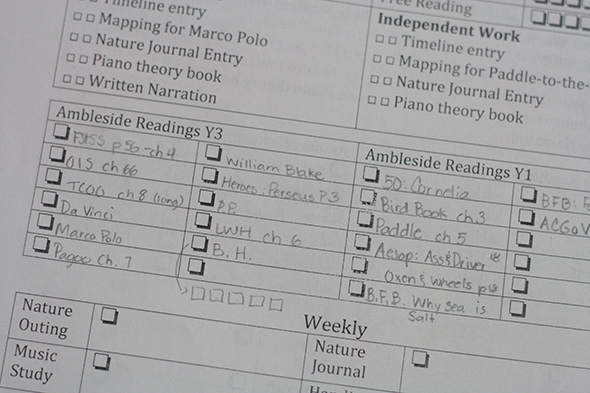 We are definitely doing Ambleside Online again next year. We started Year 2 in the fall and it has been the best thing for us. I have fallen in love with Charlotte Mason methods. The readings are challenging and interesting, leaving the kids clamoring for more. Yet, Charlotte Mason proposes that we digest our readings and so we learn to be patient and have self-restraint and wait for the following week for the next reading. I have been collecting Year 1 and Year 3 books for our late August start date and made up a weekly planner (inspired by the one at Joyous Lessons) to schedule out our readings. I’m not done, but working on it a little bit each night, using the schedule on the AO website. Our little girl is due at the beginning of June, so I am trying to prepare a bit early for next year. For the generosity of friends and complete strangers with regards to lending and giving us their gently used baby items. Every miscarriage necessitated a baby item purge from our house (even though I knew we’d still be trying) so we ended up with none of Bear’s baby clothes or baby paranerphalia of any kind. Something about purging and giving baby things away was therapeutic after the losses. Thankfully, I’ve now accumulated almost everything we will need. I feel so blessed. 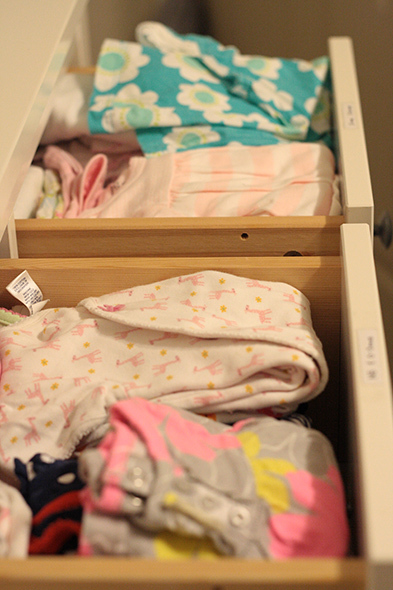 Organizing all the clothes for the baby. 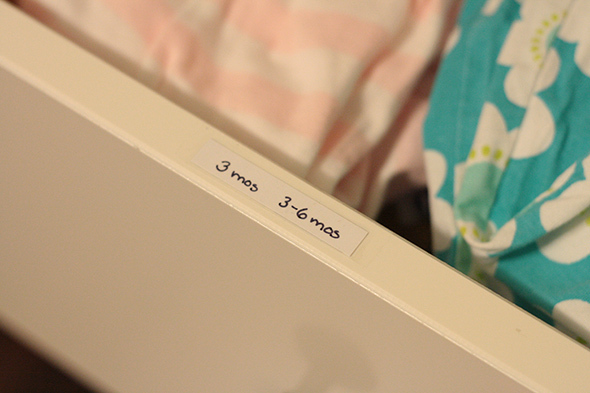 I labeled the edges of the drawers so I (or any helpers) could easily find the right sized clothes. My fancy label maker involves a fine tip Sharpie, scraps of cardstock (from a free library bookmark), and clear tape. 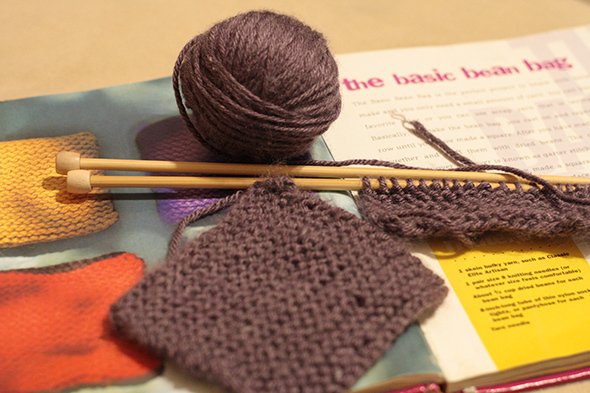 I picked up a knitting book in the children’s section of the library and was pleased with the number of nice but simple projects. I spent an evening working on a knit bean bag. Now I am attempting a rabbit. Note that I have very rudimentary knitting skills, so that beanbag seemed like an amazing accomplishment. All my efforts to make a doll-sized scarf before Christmas ended terribly, but my beanbag was actually not too bad. Now to convince Bear to try a beanbag. A Pocketful of Pinecones (affil.) is nothing earth-shattering, but I am so glad I found a used copy to buy and read. There is something comforting about reading of someone else’s amble with Charlotte Mason methods. 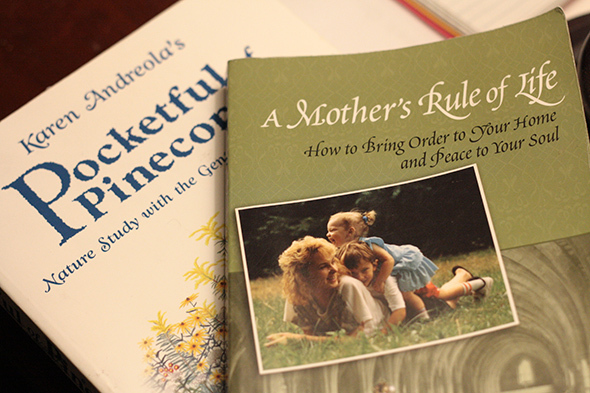 A Mother’s Rule of Life (affil.) has been on my to-read list for years and a friend lent me her copy last week. I was thrilled! I feel I waste a lot of time and am hoping to remedy this. The Story of Charlotte Mason (not pictured) was a fabulous read that has encouraged me to read Charlotte Mason’s actual works. It’s out of print and over $100, so I used an interlibrary loan to obtain a copy. Worth the wait. But I only had it for ten days and had to read it fairly voraciously and not digest it as slowly as I might have liked. Friday Stations of the Cross with my family. We love the Holy Heroes Stations of the Cross CD. I printed out these Stations of the Cross coloring pages and laminated them. On Fridays, I hang them on the walls around the dining room and we do the stations as a family. The pregnancy is going so well that I sometimes forget that I am pregnant. Then I walk by a mirror and see my belly (I am ALL belly) and am so surprised. This baby has been especially hard to come by (3 late first trimester miscarriages plus the twins’ stillbirths), which is probably why I am so incredulous that I am indeed pregnant. While the pregnancy has helped with the grief of losing the twins, there are still days in which I am very emotional about the fact that they aren’t here. It was a bit of a relief to find out we were expecting a girl (the twins were boys). I don’t know how it would feel to be folding and sorting through baby boy things right now. God is always in the tiny details. If your child needs sight word practice, I recommend you visit this site of games, videos, and flashcards (to print out). 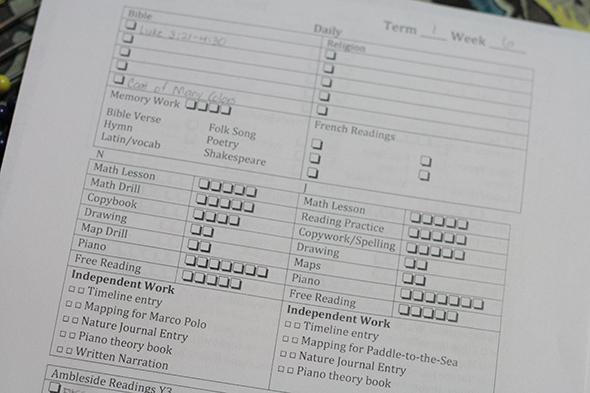 The word lists include all the Fry words to 10th grade. I am going to print out some of the games with the more advanced words for Bear and J-jo. Sight word Snakes and Ladders, anyone? Hugs, and congratulations on your upcoming girl. So excited for your family!! Can’t wait to see your precious little girl! I’m interested in CM and would like to see what it really looks like during one of your weeks. Could you do a post at some point that lays out how you do what you do? Thank you for the little glimpse you already gave and CONGRATULATIONS on the little lady inside!!! Your faith is mighty to watch, thank you for sharing. Wendy, I would love to write a post on that. I haven’t yet written much on Ambleside Online and Charlotte Mason because we just switched this year and it has taken me all year to finally get it. I feel like all year I’ve kind of just been trying to see how it would work before blogging about it. I tend to curriculum hop and wanted to make sure we’d stick with this one before blogging about it. I also haven’t felt overly organized about our foray into AO and CM, but maybe parents need a post about how you can just jump in to a thing and still thrive? We are finally finding our groove though and I “think” I have found a system that will work next year, but who knows with a new baby what will happen.